Offering you a complete choice of products which include butyl rubber strip, adhesive butyl rubber strip and adhesive foam rubber strips. 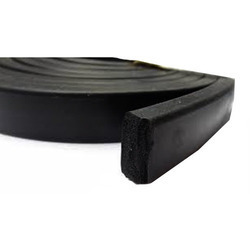 Our organization is highly appreciated by the customers for manufacturing, supplying and exporting a wide range of Butyl Rubber Strips. The strips offered by us are manufactured using high-grade raw material, which is sourced from the reliable vendors of the market. These strips are extensively used as moisture barrier on uneven surfaces. Owing to their high strength and adhesion, these strips are widely demanded and appreciated by the customers. Innovation is our forte and we strive to design and develop a qualitative range of Adhesive Butyl Rubber Strip. The offered range of adhesive butyl rubber stripes is manufactured by our expert professionals using premium quality raw material and cutting-edge technology. These adhesive butyl rubber widely used as moisture barrier on uneven surfaces. Length: 10 meters per roll or upon customers request. Our Standard quantity in one box contain 2000 meters of 200 rolls having 10 meters length. Our organization is highly appreciated by the customers for manufacturing, supplying and exporting a wide range of Foam Rubber Strips. The strips offered by us are manufactured using high-grade raw material, which is sourced from the reliable vendors of the market. These strips are extensively used as moisture barrier on uneven surfaces. 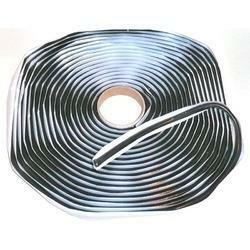 Owing to their high strength and adhesion, these strips are widely demanded and appreciated by the customers.